Enjoy a tiny forest of trees on your desk or indoor table, with our miniature braided money tree grove! Our grove includes three miniature money trees, hand-picked and carefully arranged together in a glazed bonsai ceramic pot. These easy-to-care-for trees grow quickly, providing a lush and unique focal point for any indoor space! Care instructions are included. Note : Pot design may vary. Metro Manila Delivery: Please place your order at least 2 days prior delivery date. Provincial Delivery: Please place your order at least 3 days prior delivery date. 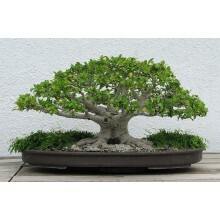 The undulating trunk and finely trained branches of this outdoor bonsai are sure to please. Chinese Elms are deciduous trees with small leaves that drop in winter. Note : Planter design may vary. Metro Manila Delivery: Please place your order at least 2 days prior delivery date. Provincial Delivery: Please place your order at least 3 days prior delivery date. Chinese Holly Chinese Holly is an abundantly planted large shrub or small tree. The glossy leaves are coriaceous, evergreen, and prickly like those of American Holly, but have a unique shape -- the central spine points down, while the next two point up like horns (hence the name cornuta, which means horned). Note : Planter design may vary. Metro Manila Delivery: Please place your order at least 2 days prior delivery date. Provincial Delivery: Please place your order at least 3 days prior delivery date. 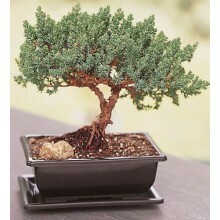 Creeping Juniper Bonsai - Slanting Pine Tree This imaginative combination of the good luck juniper bonsai is planted. 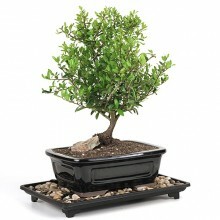 Celebrate the coming fair weather and fairway fun with this lighthearted bonsai gift! Note : Pot design may vary. Metro Manila Delivery: Please place your order at least 2 days prior delivery date. Provincial Delivery: Please place your order at least 3 days prior delivery date. The Lucky Bamboo is a great gift for any occasion. Legend says a gift of living bamboo brings good fortune to its bearer, hence the name, Lucky Bamboo. Choose from six different Lucky Bamboo pyramids.Lucky Bamboo thrives in either low light or indirect sunlight, making it an easy to care for gift they will love! Note : Pot design may vary. Metro Manila Delivery: Please place your order at least 2 days prior delivery date. Provincial Delivery: Please place your order at least 3 days prior delivery date. Ficus Nana Specie - Imported Balete Variety Send an engaging greeting with our Ficus Nana Specie. An imported Balete Variety). 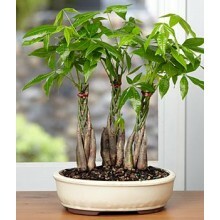 This bonsai plant makes a great houseplant requiring moderate watering and sunlight. We have selected the best growers who take great pride in demanding only the finest plants for you. Note : Pot design may vary. Metro Manila Delivery: Please place your order at least 2 days prior delivery date. Provincial Delivery: Please place your order at least 3 days prior delivery date. 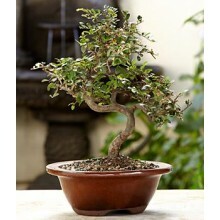 Exhibiting superior trunk movement our Fukien Tea Bonsai will add interest to any room. These easy to grow trees produce small white blooms in April and May, rewards for observant growers. Please Note : Pot design may vary. Metro Manila Delivery: Please place your order at least 2 days prior delivery date. Provincial Delivery: Please place your order at least 3 days prior delivery date. 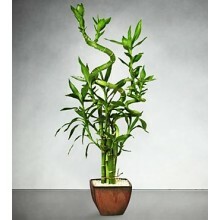 Our Lucky 7 Bamboo arrangement comes with 2 spiraling stalks that evoke power. It's a simple and elegant combination, ideal for those searching for a minimalist elegance. 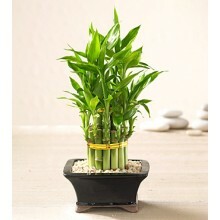 Legend says a gift of living bamboo brings good fortune, hence the name "Lucky Bamboo". The 7 stalks are approximately 16-18" tall. A combination of curved and straight bamboo in an Asian red glazed container is tied together with a lucky gold band. Stone pebbles and care information included. 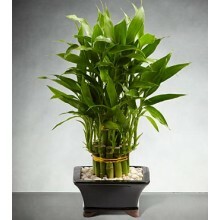 A thriving Dracaena (bamboo) symbolizes good fortune in many Asian countries. Note : Pot design may vary. Metro Manila Delivery: Please place your order at least 2 days prior delivery date. Provincial Delivery: Please place your order at least 3 days prior delivery date. Lucky Bamboo, botanical name Dracaena, is a tough and resilient plant, and does not require direct sunlight This imaginative combination of the good luck juniper bonsai is planted. 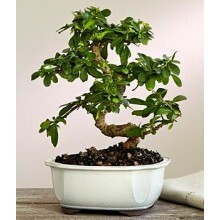 Celebrate the coming fair weather and fairway fun with this lighthearted bonsai gift! Note : Pot design may vary. Metro Manila Delivery: Please place your order at least 2 days prior delivery date. Provincial Delivery: Please place your order at least 3 days prior delivery date. 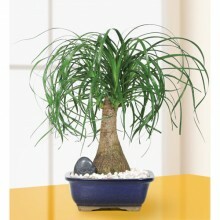 Pony Tail Palm Bonsai Send an engaging greeting with our Pony Tail Bonsai. The lush "hair like" leaves of this hardy plant form a free flowing mass of green atop a sturdy trunk. 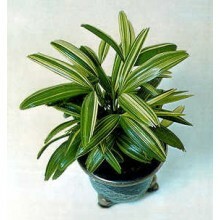 This palm plant makes a great houseplant requiring moderate watering and sunlight. We have selected the best growers who take great pride in demanding only the finest plants for you. Note : Pot design may vary. Metro Manila Delivery: Please place your order at least 2 days prior delivery date. Provincial Delivery: Please place your order at least 3 days prior delivery date. Variegated Rhapis Variegated Rhapis! These supreme "Lady Palms" are rarities of the palm world. Each named variety displays a stunning pattern of stripes and provides a dramatic highlight to any collection. Note : Pot design may vary. 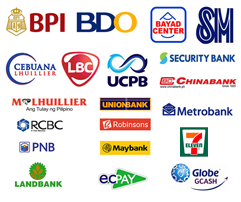 Metro Manila Delivery: Please place your order at least 2 days prior delivery date. Provincial Delivery: Please place your order at least 3 days prior delivery date.